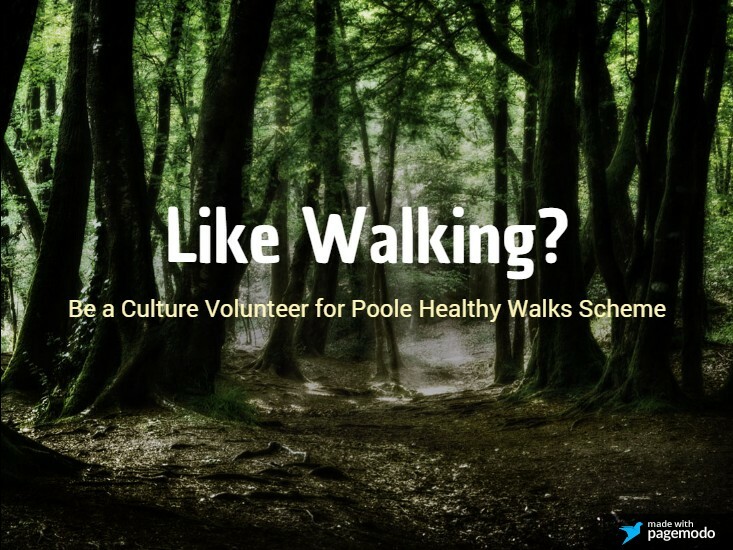 Volunteers are invited to lead walks within the Poole Healthy Walks Scheme. The Poole Healthy Walks Scheme offers short, free weekly walks led by trained volunteers each week and plays a vital role in assisting people to take frequent light exercise each week as part of a supportive and sociable group. All walks are between 1-2 miles in length and take place on firm level ground with parking available to ensure that the walks are accessible to people with a disability. The only exception is a monthly nature walk that takes place on Canford Heath. An interest in walking and a friendly nature are essential. Good level of physical fitness required. A date will be arranged for the volunteer to attend a Walk Leader training course and following the training the volunteer will be asked to shadow one of the schemes existing Walk Leaders prior to leading a walk independently. Sorry, no travel expenses available for this opportunity.